In a dimly lit underground cellar, adorned with an antique chandelier and hundreds of wine bottles stacked up against the wall, I sit at a wooden table across from a row of glasses branded with the historic Calabria Family Wines logo. A welcoming Italian spirit fills the air at this Tuscan-style cellar door situated five minutes’ drive from Griffith’s town centre. A host pours the vineyard’s favourites – Vermentino, Nero d’Avola and Pinot Bianco – and nudges me to eat more of the cheese, olives and salami generously provided. The filling of cups prompts conversation, and the endearing European way of gathering – with good food, quality wine and new friends – on Riverina soil. I discover that Bill, the managing director of Calabria Family Wines, is somewhat of a rarity in the industry: he’s allergic to alcohol. But armed with a sharp sense of smell, he has managed to create one of the region’s star wineries. four employees to the winery it is today, crushing more than 30,000 tonnes of grapes, and exporting to the USA and UK. Yearning to experience more of the region’s wine, I head to a Griffith icon: McWilliam’s Hanwood Estate Cellar Door. Established in 1917 by John James McWilliam, the son of a Northern Irish immigrant, McWilliam’s has survived six generations of winemakers. The arched architecture of the 45-year-old cellar door is striking, shaped to the exact scale of a half-wine barrel, flat side grounded. Inside, the arched ceiling with exposed beams is accentuated by streams of light billowing in through a glass panel wall, topped with a painted glass mural of an ox and cart carrying grapes down an old vineyard road. I take my place on a long table and meet a spread of five wines including a touriga with berry notes, a full-bodied Durif and an intense 10-year-old tawny. I arrive back in town just before nightfall and walk to Limone Dining. It is owned by Luke Piccolo, a Griffith local whose Italian nonna taught him how to cook as a child. This fine dining restaurant was made from recycled materials collected over 30 years, and took more than five years to construct. The sustainability theme continues on the plate with a three-course menu showcasing local produce. Zecca Handmade Italian is another popular restaurant, run by three young Australian-Italians: Daniel D’Aquino, Ben Di Rosa and Michaela Di Rosa. Chef Ben also attributes his cooking skills to his nonna. Situated in a revamped building that used to serve as the Rural Bank, the restaurant is big on making everything from scratch. That includes pasta, sauces, breads, gelati, antipasti, cheese, preserves and olive oils. The following day I head back to Hanwood and visit the 100-year-old Catania Fruit Salad Farm, owned by Joe and Sharon Maugeri. I head off on a bumpy farm safari ride in a magnificent rusty van to see more than 60 types of fruits growing – there’s an abundance of apples, pears, olives, chestnuts, cherries, peaches, pistachios and prunes. I then head into the main house, a mud brick farmhouse circa 1912, and taste a freshly picked blood orange, Sharon’s homemade preserves, wine – created ‘the Sicilian way’, as taught to Joe by his Italian family – and ‘pissed prunes’ (d’Agen prunes in port). The next stop is a 40-minute drive away, so this gives my stomach time to make room for lunch. Pages on Pine Restaurant & Grill is a French restaurant with modern Australian influences located in the small but charming town of Leeton. The establishment is owned by a husband-and-wife duo, French immigrant Eric and Vanessa Pages. The golden restaurant interior complements the wooden vintage floor, sourced from the town’s iconic art deco 1930s Roxy Theatre. Although the menu is local, seasonal and changing regularly, Eric recommends visitors try the beef cheek, which is his favourite dish to cook. I also indulge in a cheese platter for dessert: a necessary precursor to visiting Coolamon Cheese, located one hour and many canola fields away, on the following day. Created by microbiologist turned cheesemaker Barry Lillywhite, Coolamon Cheese is the destination for cheese-lovers who aren’t shy when it comes to tasting traditional and inventive varieties. You can even go on an educational tour, learning the art and science of creating the perfect cheese. Set in a former 1920s co-op on the town’s main street, the farmhouse-style building houses a cheese kitchen, deli, factory and a light-filled courtyard. Excited by the huge array of dairy produce, I try 12 flavours of artisan European and Australian-style cheeses. My favourites are hard cheeses infused with indigenous ingredients such as lemon myrtle and river mint. out the world beyond the Riverina and remain in a delicious fusion of local tastes. The Griffith region supplies 70 per cent of NSW citrus production and 95 per cent of Australia’s prunes. All of Griffith’s wineries are family-owned businesses, with more than half identifying with Italian heritage. Wine producers in the Griffith region grow 62 different varieties and supply around 75 per cent of the state’s wine grapes. Annual grape production is more than 300,000 tons. 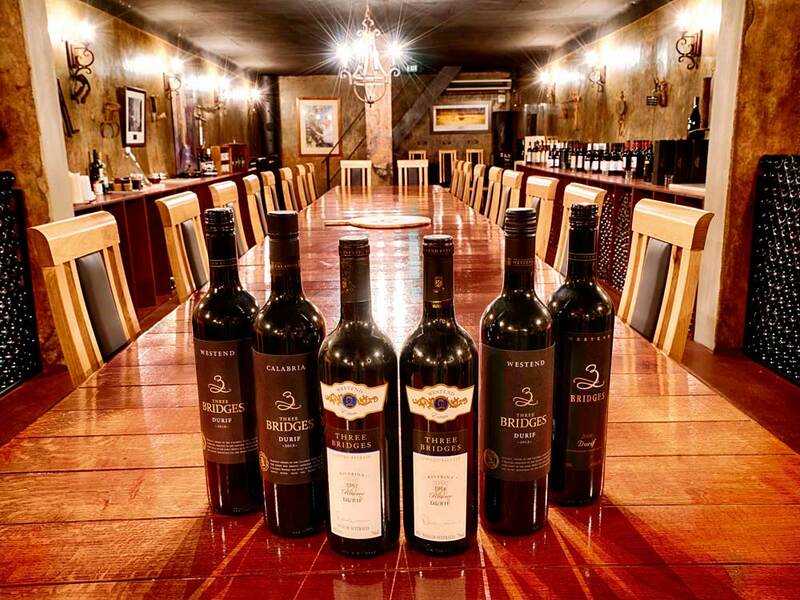 Griffith is home to six of Australia’s top 20 largest wine companies and seven of Australia’s top 15 wine exporters. More than 12.5 million cases of wine are exported from the Griffith region to 50+ countries around the world every year – that’s approximately 34,000 dozen per day. Romance, relaxation, fine food and birdsong make this perfect pocket of Australia a true piece of tropical paradise. .